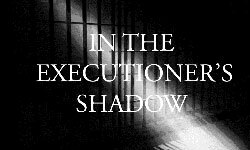 OADP joins the call for commutation of death row. The mission of Oregonians for Alternatives to the Death Penalty (OADP) is to repeal the death penalty in Oregon as an essential step toward a more cost-effective, Humane and restorative response to violent crime and thus toward safer, more peaceful and just communities. OADP opposes the execution of any individual. To that end, OADP urges Governor Brown to exercise her clemency powers in the best interest of all Oregonians and commute all current death sentences.